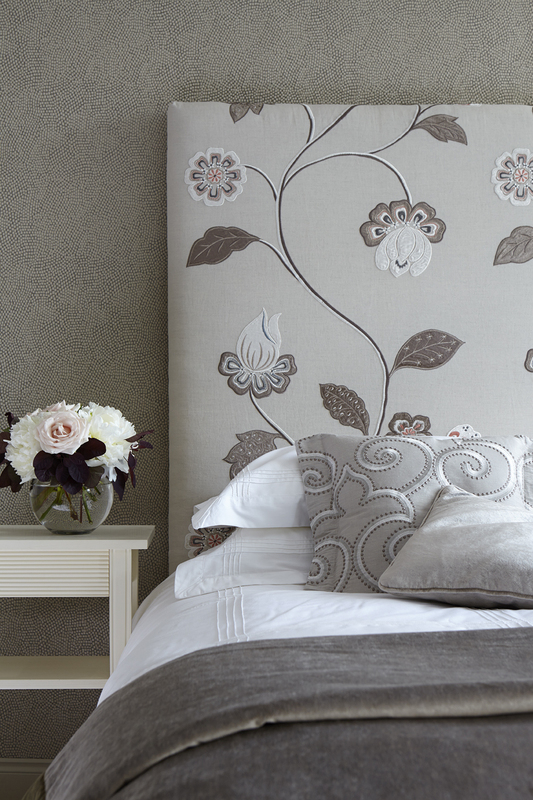 James Hare Oriel embroidered and appliqued fabric used for rectangular upholstered headboard. Walls covered in James Hare paper backed Tesserae silk. Patterned scatter cushion in James Hare Parterre Gosling fabric.